Andy is Chair of the Foundation Trustees. Having grown up in Middlesbrough, Andy gained an MA from the University of Edinburgh before working in London as financial markets trader. After moving back to the North East, Andy supported a number of local businesses, providing them with ideas and capital. Andy’s extensive experience of charities includes being a patron of international children’s charity ARK (2003-08) and regional chair of Fairbridge Teesside (2006-10). 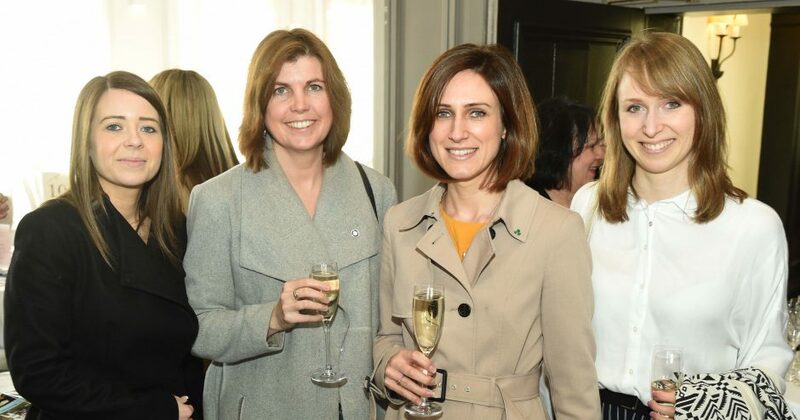 With Tanya Garland, he founded the Philanthropic Foundation in 2011 and has been instrumental in bringing together around 50 local businesses and individuals as patrons and supporters, raising more than £3 million in the charity’s first eight years. 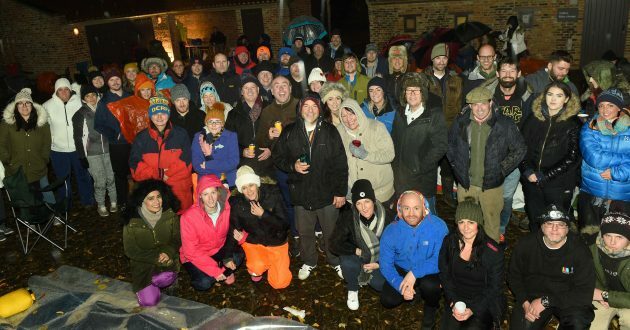 In 2014 Andy launched the Foundation’s sister charity, CEO Sleepout, which has become a national phenomenon, itself raising more than £2 million in the fight against homelessness and poverty. A chartered electrical engineer, David sits on the executive board of the px group as the Group Development Director. He brings over 25 years of industrial management experience to the charity, including time spent on the management committee of the Teesside Power Fund and as a governor at Red House School. Born and bred in Hartlepool, he has a strong connection to Teesside and the lives of people who live and work in the local community. Born and raised in Middlesbrough, Paul joined Teesside Insurance after leaving college. Having led a management buyout in 2010, Paul is now the joint owner of Erimus Insurance Brokers, the only top 100 independent insurance broker with a Tees Valley HQ. Erimus were one of the founding patrons of the charity. Paul, who joined the board of Trustees in 2015, is passionate about promoting the North-East, living in the North Yorkshire National Park with his wife and son and working from offices in Stockton. When Alastair Waite was asked to become a Foundation Trustee, he had no hesitation in responding positively. That’s because he believes this is a charitable movement that makes Teesside a better place to live, work and play. A hugely successful North-East entrepreneur and major driver in the Teesside technology scene for many years, Alastair was a leading force in Onyx Group’s decision to become patrons of the Foundation and took part in the first ever CEO Sleepout at the Riverside Stadium in 2013. Having worked on Teesside for the past 15 years, Alastair now runs his own consultancy business focused on helping businesses develop strategy, raise funding and deliver growth. He is also Group CEO of Durham-based Altec Engineering Ltd.
Karl is Managing Director of Active Chartered Financial Planners. Karl’s career in finance began as an 18-year-old cashier with Yorkshire Bank in 1995. He quickly moved through the roles and he took up a management role within Premium Banking, making Karl the youngest within the bank. In 2005, Karl left to join RBS as a Private Banking Manager, his first regulated role as a Financial Adviser. However, when Karl’s father became seriously ill, he left to take over the family firm, Active Financial Services. Karl joined Active in 2007 with a vision to develop the firm into one that was capable of challenging the services offered by the big banks, whilst sticking firmly to the firm’s local, ethical and traditional values. Since then Active has tripled in size in every area during what have been very difficult economic times. Emily is Marketing and Business Development Manager for Wynyard-based Communicate Technology plc, IT, Cyber Security and Telecoms business, while she is also director of Tees Valley Business Club, a not-for-profit organisation. Born in Middlesbrough, Emily has studied and worked in Teesside her entire and describes herself as passionate about the communities, people and businesses across the area. She says she is also always willing to give time and do “crazy things” to support charity. Lee is a partner at commercial law firm, the Endeavour Partnership, where he heads up the Commercial Litigation Department. Endeavour are proud of their Teesside heritage and were one of the Foundation’s first patrons. 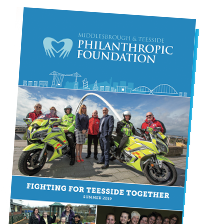 A majority of the firm’s partners are themselves Trustees of various Teesside-based charities. After attending Ayresome School and King’s Manor Secondary, he completed a law degree and qualified as a solicitor in 2000. Married with two children, Lee is an ardent Middlesbrough FC supporter. Having Hickton as a middle name left him with him with little choice! Lee was born just a few hundred yards from Boro’s former ground, Ayresome Park (where his Mum still lives today). A proud Teessider, Harriet is both the Marketing and Business Development Manager and Investment Sales Manager of our Patrons, the Mandale Group. In 2017, she successfully conquered Africa’s highest mountain, Kilimanjaro, raising more than £5,000 for the Philanthropic Foundation. Stockton-based Mandale is a leading property development and investment company, responsible for some of the best redevelopment and regeneration programmes around Teesside – and committed to helping Teesside to thrive. Harriet is part of a company with more than 30 years’ experience in building accommodation from residential to offices, shops, leisure facilities and warehouses. Leicestershire-born Ian is CEO of chemical company Chemoxy and a passionate Teessider, having spent the last 40 years living and working in our region. He first came to the area in 1980 to work in Hartlepool after studying chemistry in Nottingham, and was involved in the acquisition and sales of various companies as commercial director and MD before being part of a management buyout of Chemoxy in 2011. A personal patron of our charity along with wife Adrienne, Ian remained CEO of Chemoxy after the company was sold to a French multinational in 2017. A fellow of the Royal Society of Chemistry and member of the NEPIC leadership team, he has several angel investments on Teesside in the plastics recycling and water conservation sectors, and is also a partner in lavishly restored village pub The Devonport, Middleton-One-Row. Energetic Alisdair first approached the charity while working as a commission-only salesman after reading a book about Andrew Carnegie, the Scottish-American steel giant and famous philanthropist. The rest, as they say, is history as he is now also a committed trustee as well as a loyal patron, who is managing director of his own expanding Stockton home improvements firm The Build Directory. Alisdair overcame the odds to set up what is a growing and successful business with clients across Teesside, the North-East and Yorkshire, as he suffers from dyslexia.